A new study compares a harness to a neck collar and finds both are good for canine welfare. Harnesses are often said to be better for your dog than walking on a collar, but no one had investigated it. Now, a team of scientists at Hartpury College (Grainger, Wills & Montrose 2016) has published a study of the effects of walking a dog on a harness and on a neck collar. The same dogs were walked on a neck collar and on a harness on separate occasions, and their behaviour was monitored for signs of stress. The results show that harnesses do not cause stress and are a great choice for walking your dog. “Whilst neck collars are widely used when walking dogs, concerns have been raised about their potential to damage the neck and trachea. Furthermore collars can be problematic in dogs with eye conditions such as glaucoma. 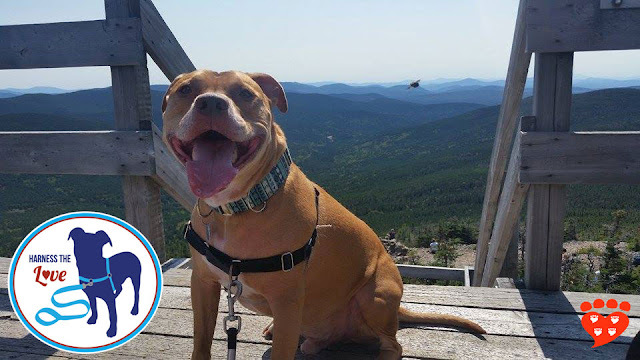 Harnesses are often anecdotally proposed to be better for dog welfare. “In our study, we investigated whether dogs walked on a collar or harness displayed differences in behaviours associated with canine stress or related to restriction of movement. “We found that there were no differences in behaviour between dogs walked on either a neck collar or a harness. The frequency of the behavioral stress indicators also tended to be low in dogs walked on either restraint type. Whilst dogs with a history of collar walking showed increased levels of one potential stress indicator (low ear position) which may suggest that these dogs are more stressed, it’s important to note that this was not supported by the other stress measures and thus this explanation should be viewed with caution. 30 pet dogs took part in the study; 15 that were normally walked on a collar, and 15 that were normally walked on a harness. Each dog was taken for a 20 minute walk along a route through a field. The middle 10 minutes of the walk was video recorded for later analysis. Zoe. Photo by Zoe's mom, Joanna. Then the owner was given the alternate piece of equipment to use so the dog could get used to it. A week later, they returned for a second 20-minute walk in the field. It was again recorded for analysis. The harness used throughout the study was the Perfect Fit. The group of dogs that were initially walked on a collar used their regular collar; the dogs that were fitted with a collar for the second walk were given a fleece-lined neck collar. A 1m leash was used for all of the dogs for standardization, and because this length is commonly used for dog walking. The walks took place in the mornings in a field in Worcestershire (UK). Two routes were marked out in the field, so that dogs would walk a new route each time. The videos were analysed for behaviours that could be signs of stress, including low tail, low body posture, licking the lips, yawning and panting. They also looked for signs that could show the dog’s movement is restricted, such as stopping. The statistical analysis showed no significant differences between current or historical use of the collar or harness on any of the behavioural indicators, with the exception of low ears. This was higher in the dogs who were normally walked on a collar, but not linked to when they were walked on collar or harness in the study. Given the lack of other differences, this is hard to interpret. These results show that neither a harness nor a collar causes stress to dogs. This is in contrast to prong and choke collars which have been found to sometimes elicit an aggressive response from dogs. In other words, as commonly believed, harnesses are a good choice for walking your dog. 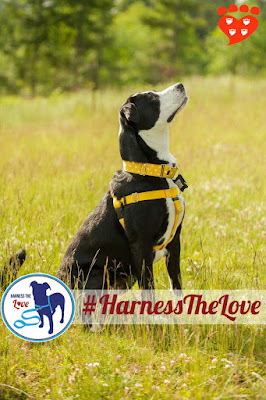 This is a timely finding because today sees the launch of the Harness the Love campaign from the Academy for Dog Trainers. The campaign highlights the use of no-pull harnesses to make it easier for people to walk their dog. No-pull harnesses have a front clip attachment for the leash, and a list of available brands can be found on the campaign’s website. People can take part by sharing a photo of their dog in their harness using the hashtag #HarnessTheLove. Do you walk your dog on a harness? Yes, a front-clip harness (German Shepherd Dog). I walk my dog (German Shepherd x Labrador) on a back fastening harness. Prefer this to a flat collar as he does lunge and I want to protect his neck.